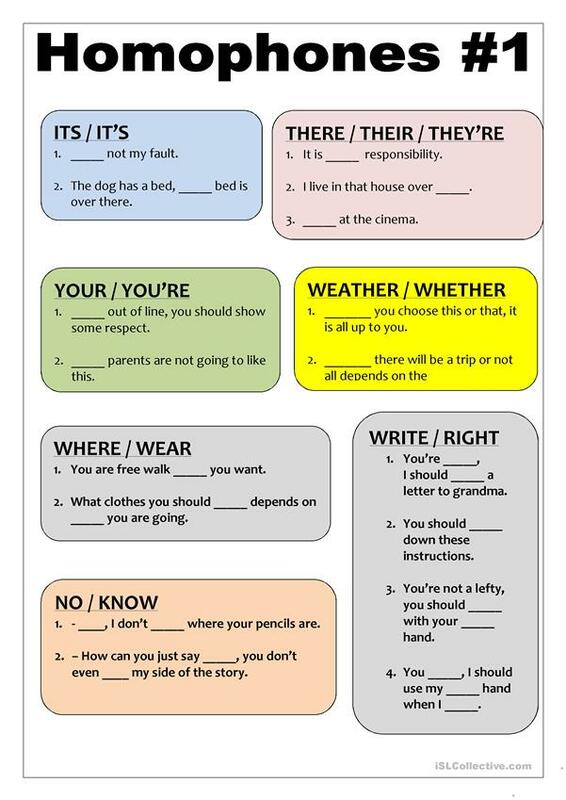 Just a very simple worksheet on some common homophones. Maybe you discuss them together first, or you simply let your students have a go on them. A five-minute activity. The above downloadable teaching material was created for high school students, elementary school students and adults at Beginner (pre-A1), Elementary (A1), Pre-intermediate (A2) and Intermediate (B1) level. It is a useful material for practising Homonyms (two words with the same pronunciation - homophones and homographs) and Phonetics (pronunciation, IPA, phonetic symbols) in English, and was designed for strengthening your class' Listening, Spelling, Speaking, Reading and Writing skills. It is about the topic and words of Words easily confused.